So, for Halloween, I was going to be Brexit, but then I remembered I need to wear a costume to Trunk or Treat at my church, and children won't know what Brexit is. So. I thought about what I already had in my closet, and I remembered that I have a bright green dress. And then I remembered that I'd seen a bouquet costume, so I decided to make my own version. This comes with the built-in trunk decoration idea of a garden. Because I'll be making both the flowers for my costume and the flowers for my trunk, I've been doing a a little experimentation. I decided last night to try out making a watercolor flower. I mostly did this because I'm trying to use things I already have in my apartment and not spend any money, and I don't have any colored paper that isn't covered in glitter. The photo above is of my first attempt at the watercolor flower, but I think it's pretty fun. I'll be making some improvements to the next one, but I think the overall results for my garden will be pretty fun. 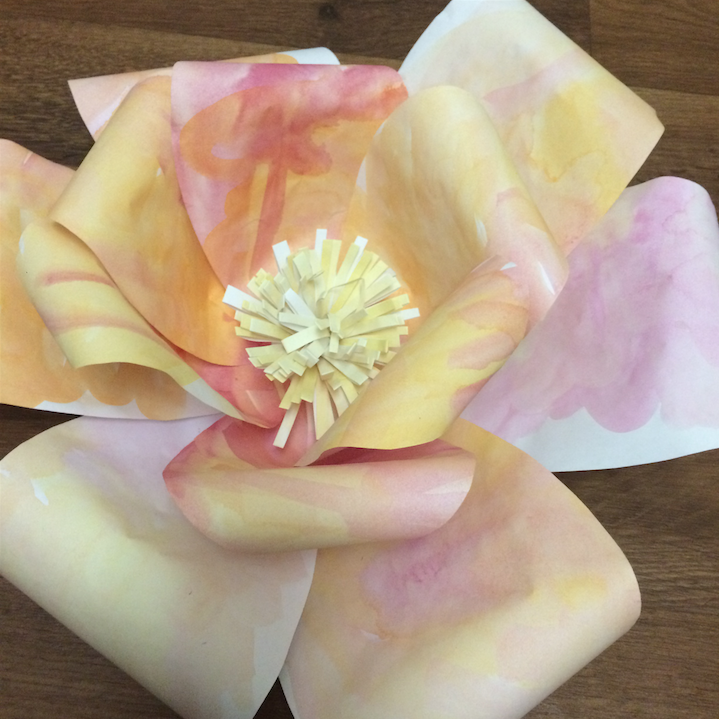 If you want to make your own paper flowers, you can watch the video I watched. It's super easy. I'm embedding below for your convenience!